Become scarce with limited production, ie as many as 1,635 units, Renault Sport Spider is not an ordinary vehicle models produced by the famous French car manufacturer. 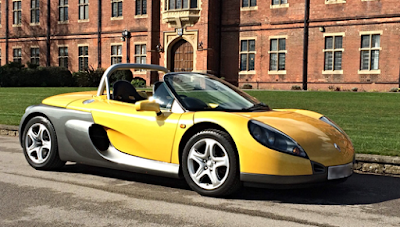 Renault Sport Spider was introduced in 1996, following a concept version presented at the Geneva Motor Show a year earlier, and that was Renault's way to promote their sporty side through this car. The middle engined car with rear-wheel drive, the Renault's iconic speedster is intended to function as an usual sportscar as well as a racing car in special racing event organized by the French company. Renault Sport Spider was produced until 1999. Renault Sport Spider that will be auctioned by the Silverstone Auctions has left the production line at the Alpine factory in Dieppe, France, in 1997, and became one of only 60 car units that having the right steeringwheel. This car was originally registered in Ireland, with only two previous owners. Its original C00050 standard engine has been replaced with the C000721 ​​version. Renault Sport Spider is carrying the four-cylinder engine with a 2.0-liter, which is able to spew the power up to 150 hp which can make the Sport Spider accelerate from 0-60 mph in just 6.9 seconds, before reaching a top speed of 134 mph or 216 km/h. 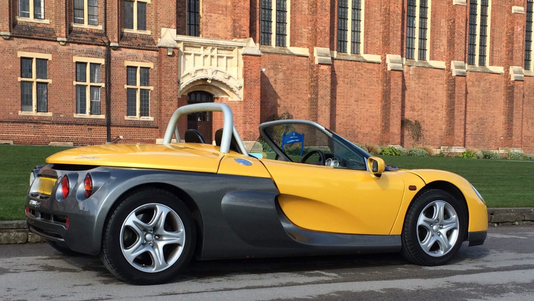 More special, this Renault sports car just been used in distance of 3,781 miles or 6,085 km on its odometer, and auctioned by Silverstone Auctions on May 20, 2016 and offered without a reservation.